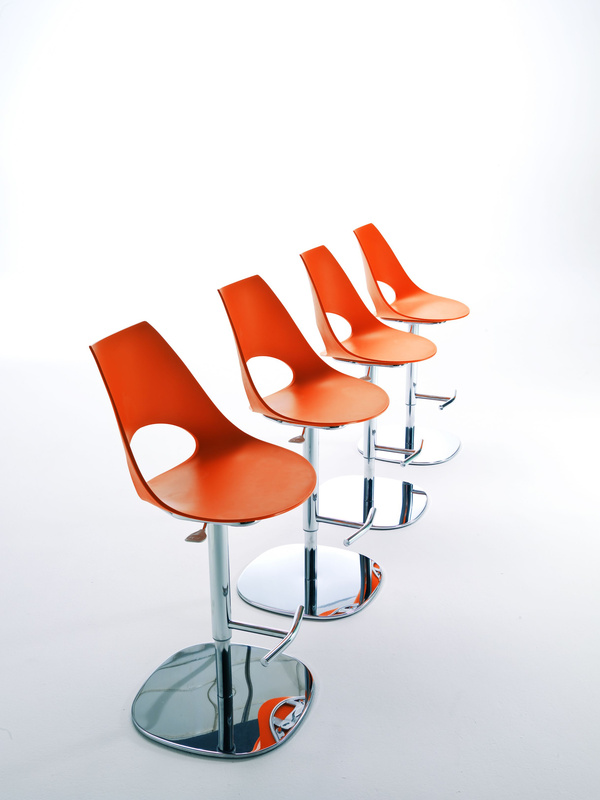 Striking height adjustable bar stool inspired by the open jaws of a shark. 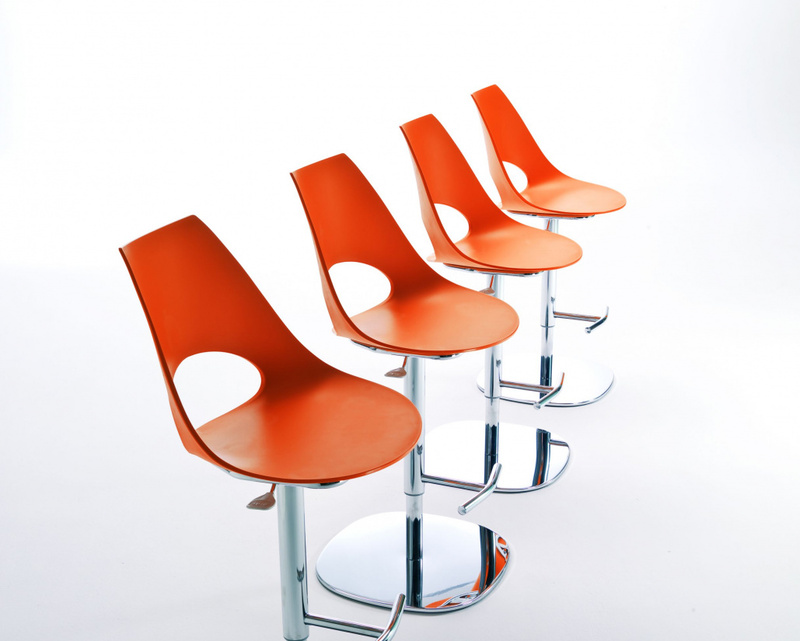 The polypropylene seat is offered in a wide choice of colours while the frame and integral footrest is sleek chromed metal. The “hole” in the lumbar area of the stool adds to the comfort of this piece.